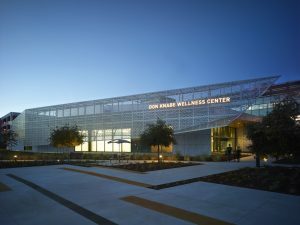 Established in 2011 with support from LA CARE, the Don Knabe Wellness Center provides comprehensive educational and fitness level programs, including peer support groups for individuals with disability, their families, community, and Rancho staff. 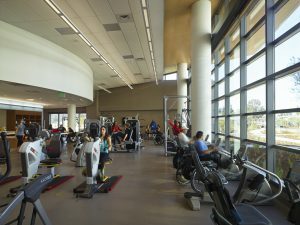 The Don Knabe Wellness Center is located in a 5,760 square-foot facility, which includes four rooms used for art class, Yoga, Pilates, Zumba, sitting exercise class, meditation, and Tai Chi. 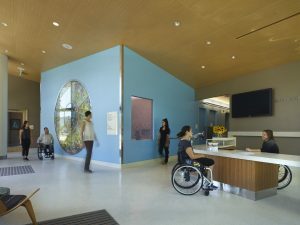 Therapeutic gardening program is also offered in the outdoor space adjacent to the Wellness Center. In addition, off-site outdoor adventure programs are available to those interested in participating in activities such as adapted rock climbing, water sports, and horseback riding. 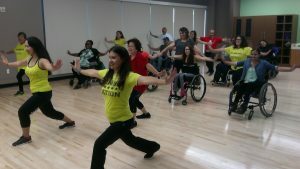 Educational and adapted dance classes are also offered. 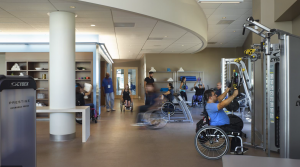 Each program is conducted by enthusiastic therapists and Wellness Center volunteers. 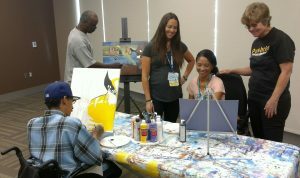 All individuals are welcome to participate via a low-cost membership fee. 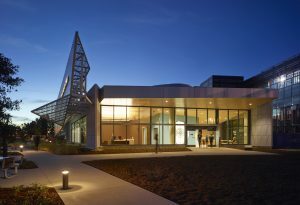 The state-of-the-art fitness center was designed with accessibility in mind. We have exercise equipment appropriate for all fitness levels and experienced gym personnel available to answer questions and provide instruction on equipment use.